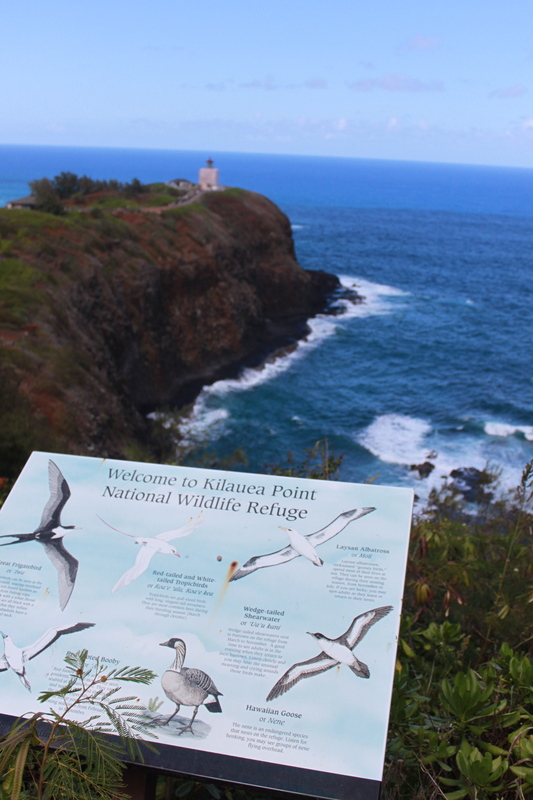 Free admission to the Kīlauea Point National Wildlife Refuge, that is! In case it escaped your notice(! 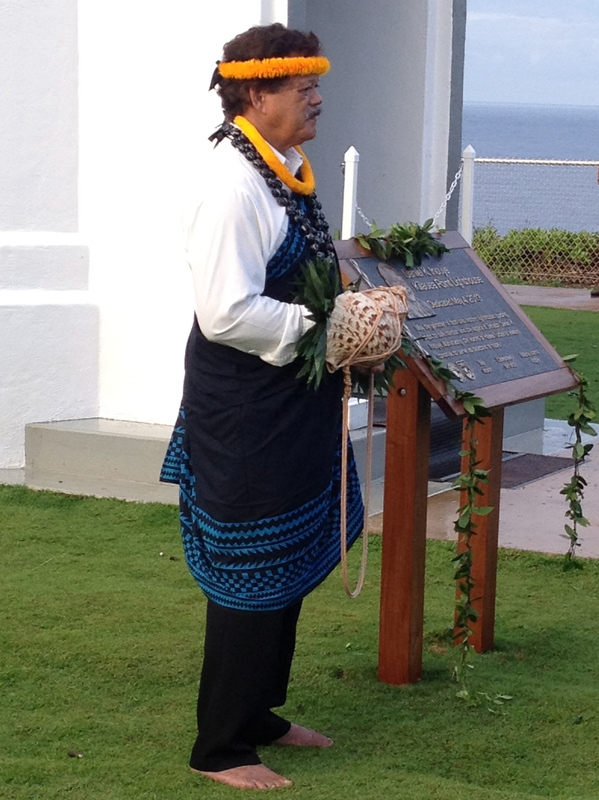 ), last Saturday was National Public Lands Day (NPLD), as so eloquently proclaimed by our President. 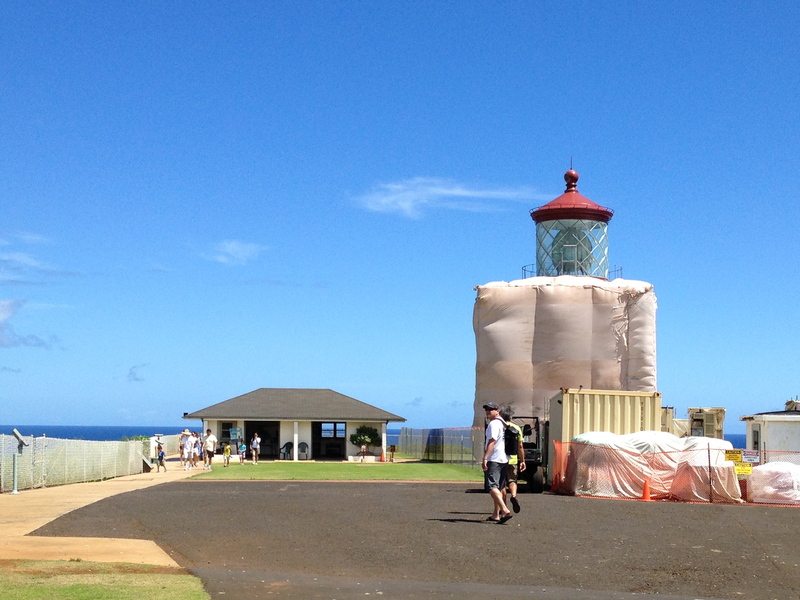 In recognition of the occasion, the Kīlauea Point National Wildlife Refuge offered a fee-free day. While kids age 15 or under have free admission every day, our fee-free days are a big deal for all the bigger kids, no age limit. NPLD also coincided with our Nēnē Awareness Day. 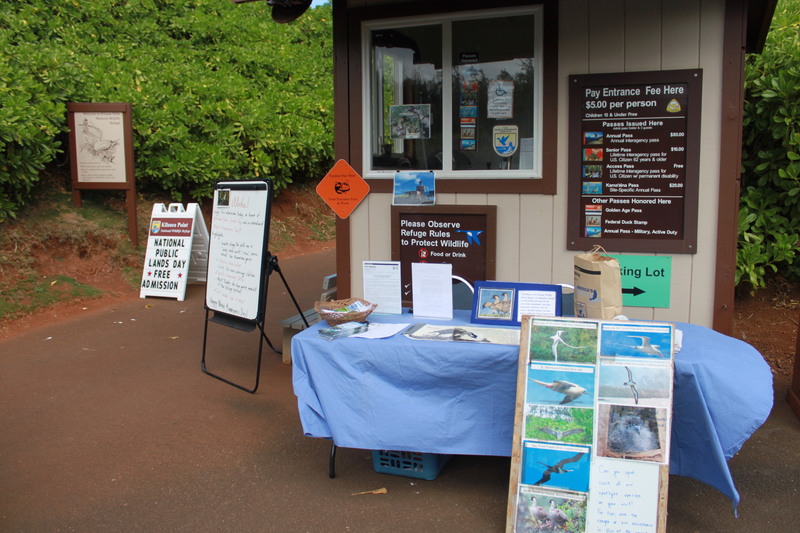 So, this was an opportunity to showcase our State Bird, the nēnē (Hawaiian Goose) , and educate and entertain our visitors with relevant information and activities. The rangers did a great job of preparing for the event. 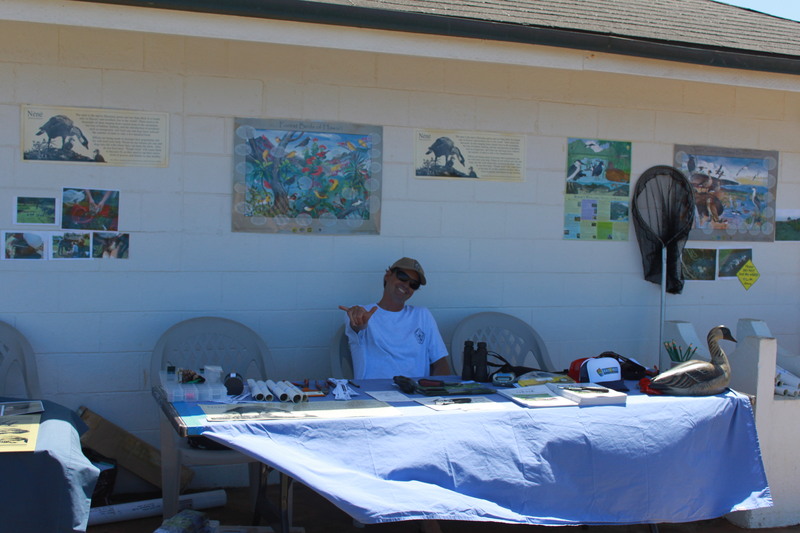 Matt, from the State Division of Forestry and Wildlife was on-site to provide nēnē banding information. Kids were ‘banded’ in the same way…well, not quite…they were given a temporary paper band around their wrist, rather than a permanent plastic band around their ankle; still, like the nēnē, girls were banded on the left wrist, and boys on the right. The ‘tattoo’ station was also very popular, and not just with the children. Many adults proudly displayed their temporary tattoos to me as they left. 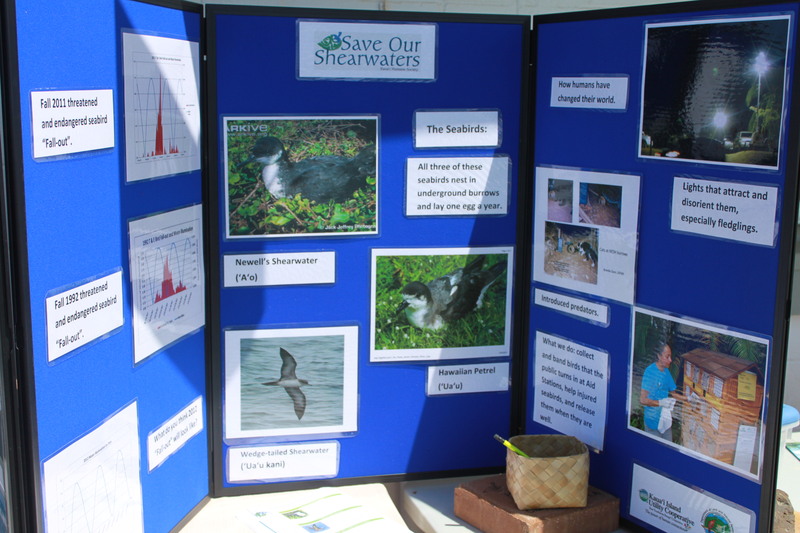 Volunteers also manned an exhibit highlighting the Save our Shearwaters campaign. 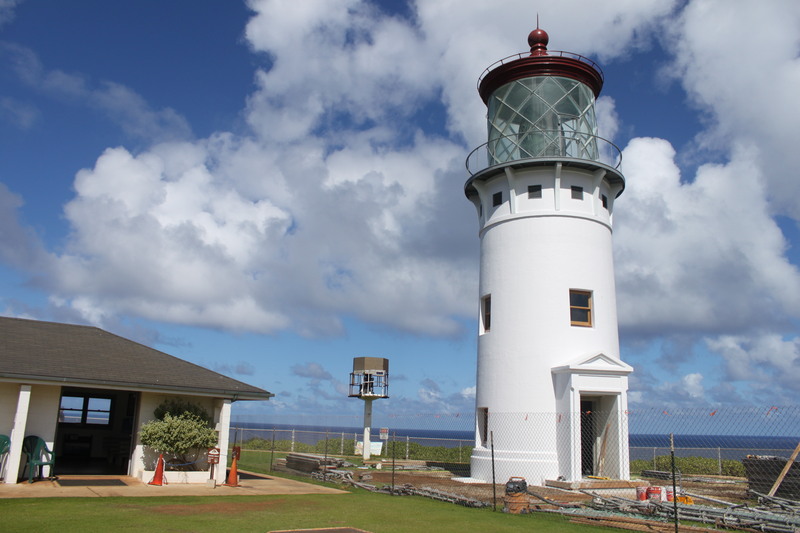 On Kauai, there is particular concern at this time of year for the Newell’s shearwater fledglings who are often disorientated by lights, particularly bright lights pointing upwards. The wedge-tailed shearwaters fledge a little later, in November. 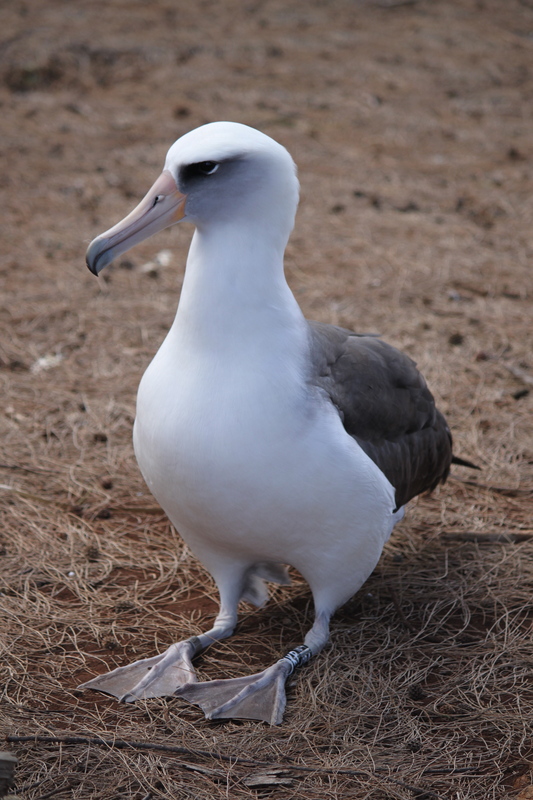 With increased awareness of the plight of these endangered seabirds, and to avoid violating the Endangered Species Act (ESA) and Migratory Bird Treaty Act (MBTA), night-time roadworks and other floodlight activities cease each year between September 15 and December 15. 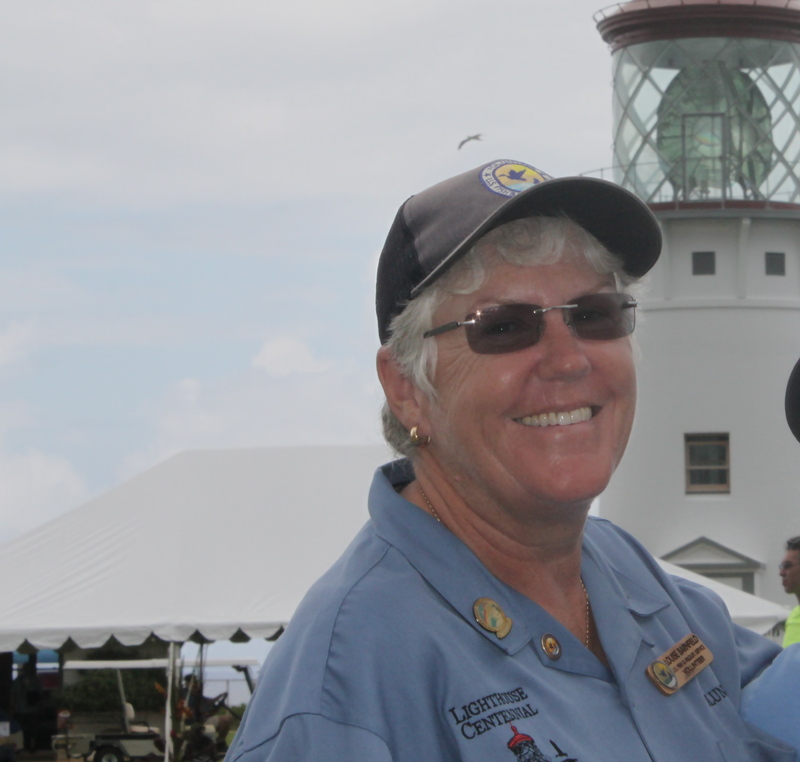 Another reason for celebration on Saturday, was the $25,000 check that Kīlauea Point Natural History Association and the U.S. Fish and Wildlife Service received from Hampton Hotels, as part of their Save-A-Landmark program. 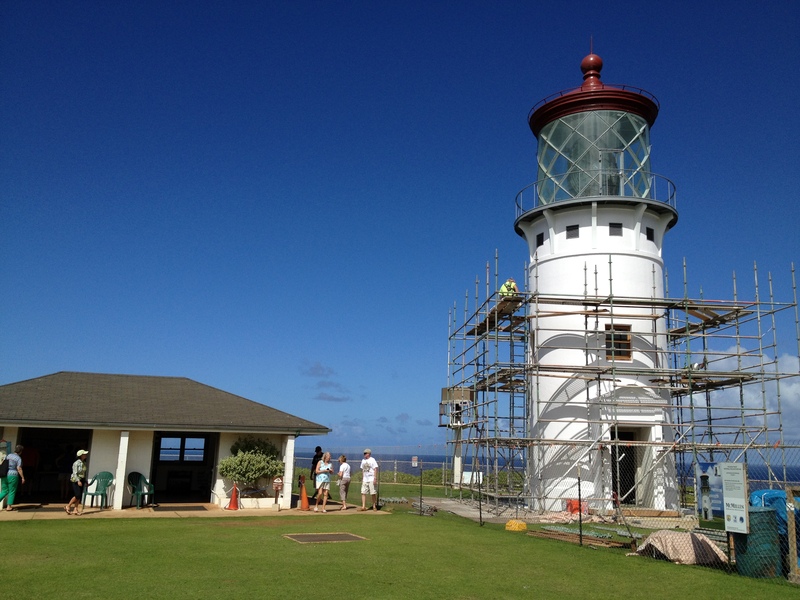 The donation will be used for the ongoing Kīlauea Lighthouse Restoration. 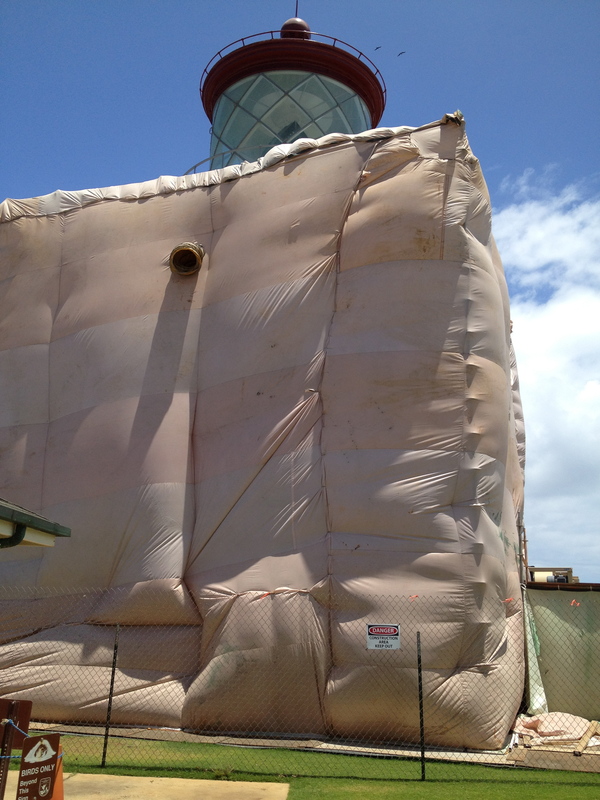 The Kīlauea Lighthouse is the 60th site to be acknowledged by the company since Save-A-Landmark was launched in 2000, and was selected in 2011 for the award through a national voting campaign in which Hawai‘i residents and lighthouse supporters from around the world cast more than 25,000 votes on its behalf. A pretty impressive feat by such a tiny state! 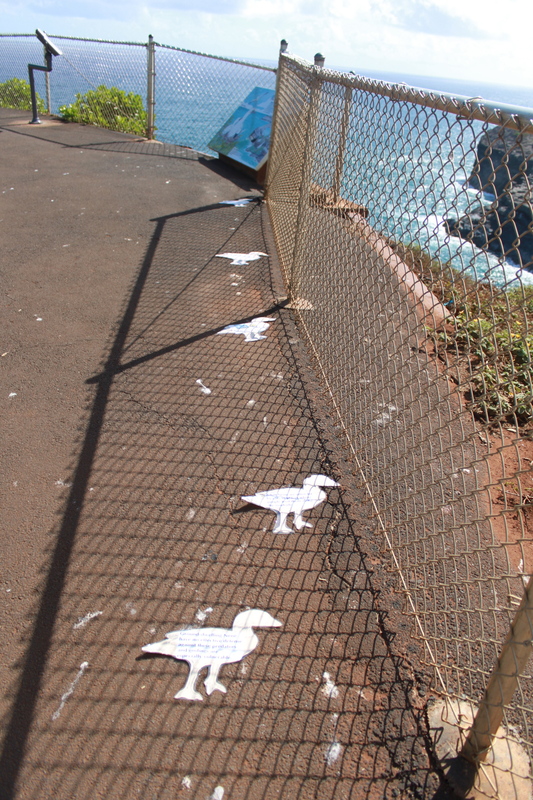 * Thanks to US Fish and Wildlife Service (USFWS) for the nēnē photo, and Kīlauea Point Natural History Association (KPNHA) for many of the details above. ‘Like’ them on Facebook to keep track of future activities.